In the form of EtroX® V Röchling Industrial presents a new material especially for the machining of high-precision test sockets for electronic components. EtroX® V is particularly suitable for machining high-precision test sockets with extremely small boreholes. These have a minimum diameter of up to 0.1 mm and are very well formed with only minimal burr formation. The high precision of EtroX® V increases reliability and economic efficiency in the time-consuming and costly manufacture of equipment for testing electronic components. 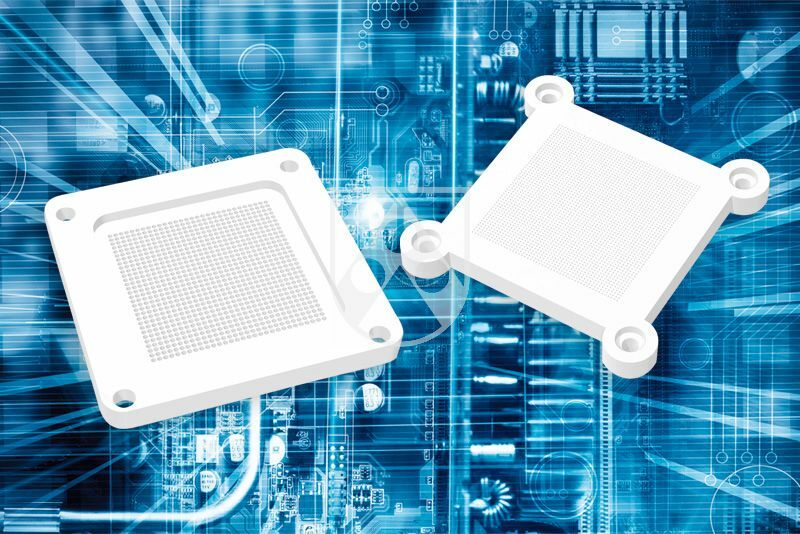 EtroX® V is a premium material that Röchling has developed specially for the high demands of the electronics industry. Leading manufacturers of electronic components have tested the properties of the new material EtroX® V and have approved it for the quality control of their electronic components after evaluating the results. The material properties determined by Röchling Industrial in its own material laboratories according to ISO standards for tensile modulus of elasticity, ball indentation hardness and water absorption show that EtroX® V offers proven advantages over the typical materials from other suppliers tested in comparison. At 5,300 MPa, the tensile modulus of elasticity (DIN EN ISO 572) of EtroX® V is considerably higher than that of tested reference materials and thus ensures higher strength and reduced burr formation during machining. At 275 MPa, the ball indentation hardness (DIN EN ISO 2039-1) is impressively higher than the values of comparable materials and allows precise machining of components. The tests also show that with 0.1%, EtroX® V has almost no water absorption (DIN EN ISO 62) and the lowest value compared to the tested reference materials. EtroX® V combines very low residual stress with very high dimensional stability even at high continuous operating temperatures of up to 250 °C. EtroX® V is particularly suitable for machining high-precision test sockets with extremely small boreholes. These have a minimum diameter of up to 0.1 mm and are very well formed with only minimal burr formation. The risk of individual, defective boreholes and thus defective components is reduced. Even a single faulty borehole would lead to a complete defect in the machined part. These errors are usually only noticed during the final inspection by manual or optical tests. The softer a material is, the higher the likelihood that the positioning of individual holes will deviate. Optical position tests carried out by customers on test sockets made of EtroX® V have demonstrated especially precise positioning of boreholes. This underscores the low stress level and excellent machinability of the new premium material. In addition to the manufacturing of test sockets, EtroX® V is particularly suitable for the machining of high-precision holders for the production and assembly of smartphones, tablets and other electronic devices. Röchling has developed EtroX® V specifically for the demanding quality control of electronic components. Components made of EtroX® V increase the reliability of the tests and reduce the rejection rate during the production of the test components with their high precision. With EtroX® V, Röchling is expanding its extensive product range of materials specifically for the electronics industry. Röchling offers a wide range of composites and thermoplastics for the electronics industry. In addition to insulating materials, it also provides numerous ESD modifications as well as Durostone® solder pallets made of fibre-reinforced plastics. 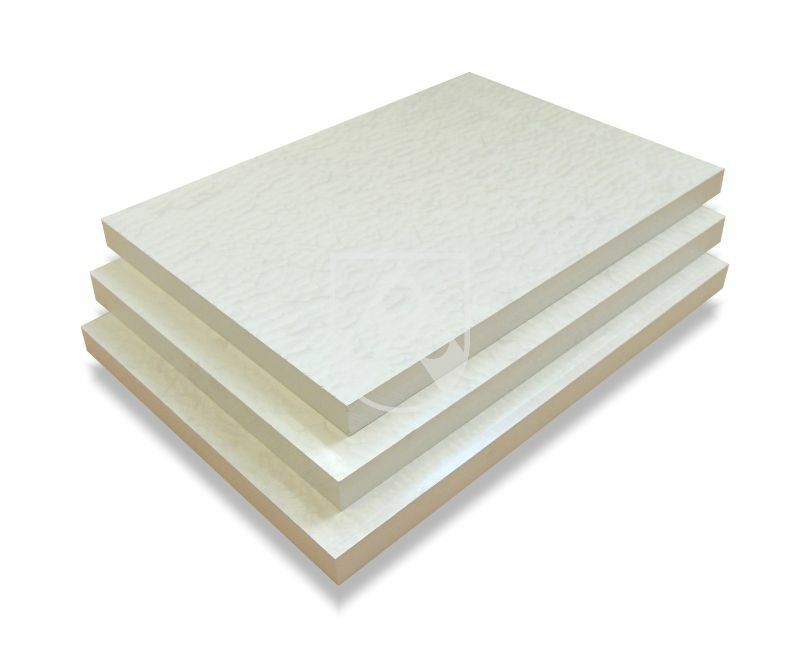 EtroX® V is available as 620 x 1230 mm (24 x 48 inch) and 500 x 1230 mm (20 x 48 inch) sheet in thicknesses from 5 to 30 mm. Other dimensions and shapes, such as round rods, are available on request. We would be happy to inform you about EtroX® V in greater detail. Supply range: EtroX® V is available as 620 x 1230 mm (24 x 48 inch) and 500 x 1230 mm (20 x 48 inch) sheet in thicknesses from 5 to 30 mm. Other dimensions and shapes, such as round bars, are available on request. At 275 MPa, the ball indentation hardness measured according to DIN EN ISO 2039-1 in the company’s own material laboratory is impressively higher than the values of comparable materials and allows precise machining of components. With 0.1%, EtroX® V has almost no water absorption and the lowest value compared to the tested reference materials. Measured according to DIN EN ISO 62 in the company’s own material laboratory.